WILLIAMSBURG, Va. — In an effort to take advantage of Cyber Monday’s sales and discounts, Williamsburg resident Scott Adams trampled over his wife, Melody Adams, while rushing to his computer, sources confirmed Monday. The incident took place just after midnight. Mr. Adams had reportedly been in the attic finding Christmas decorations, when he looked at his watch and hurried downstairs to get to his desktop computer in time for the commencement of Cyber Monday. Mrs. Adams told reporters that she had been walking to the computer to check her Facebook one last time before going to bed, unaware that it was almost Cyber Monday. According to reports, Mr. Adams inadvertently collided with his wife at full force while racing to the computer, causing her to fall to the ground and sustain numerous injuries upon impact. Cyber Monday was created as a way for stores to provide holiday shopping discounts online, but there have been over 200 incidents of in-home tramplings since the establishment of the holiday in 2004. 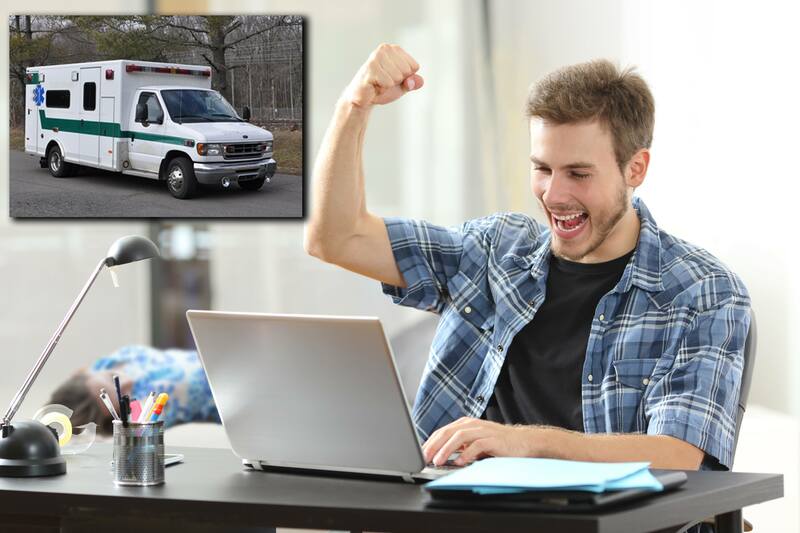 After ordering a Samsung 65” LED 4K Ultra HD television, an iPad Air 2, and an Amazon Echo Spot, Mr. Adams called an ambulance for his wife. Mrs. Adams was taken to the Emergency Room at Riverside Doctors’ Hospital and treated for a concussion, multiple broken ribs, carpet rash, and a broken nose. Doctors say the damage is severe, but that she is expected to make a full recovery. At press time, Mr. Adams was seen looking up Cyber Monday deals for health insurance.